Islamabad: The Supreme Court has ordered all government departments to adopt Urdu as the official language without delay and issued a nine-point guideline for it. 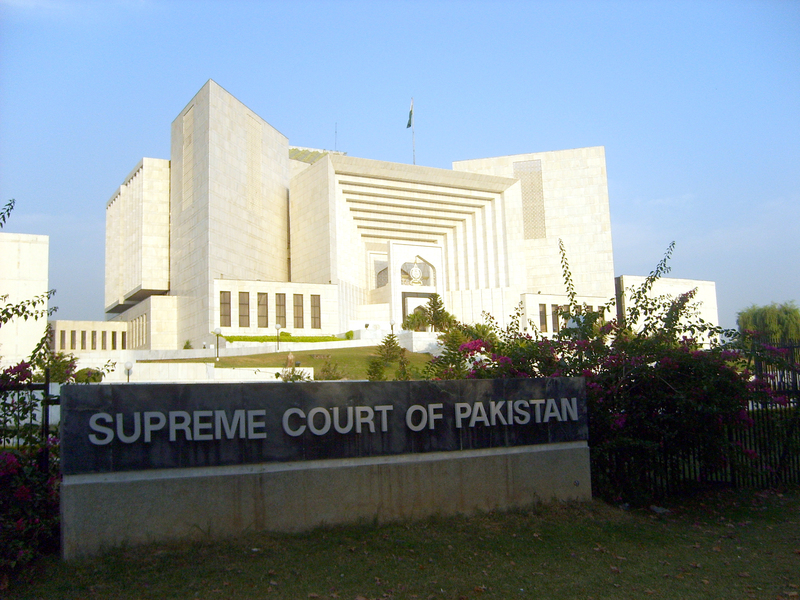 A three-member bench on Tuesday directed that copies of the judgment be sent to all federal and provincial secretaries, who shall submit progress report on compliance within three months. The apex court also ordered that all federal and provincial laws should be translated into the national language within three months. Advocate Kokab Iqbal had filed the petition pertaining to promotion and implementation of Urdu language, and the court had reserved its judgment last week. Announcing the verdict, the bench headed by Chief Justice Jawwad S Khawaja directed the government to fulfill its constitutional obligation by implementing Article 251. According to this article of 1973 constitution, the national language of Pakistan is Urdu and arrangements shall be made for its official and other use within 15 years from the commencing day. “Subject to clause (1), English language may be used for official purposes until arrangements are made for its replacement by Urdu,” the article further states. The judgment said that the statutory, regulatory and oversight bodies shall take steps to implement Article 251 without unnecessary delay and also ensure compliance by regulates. “In the competitive examinations at federal level the recommendations of government bodies should be considered for implementation without unnecessary delay,” it added. The bench directed both the federal and provincial governments to strictly follow the timeline presented in the court for implementation of Urdu as official language. It said: “In the governance of the federation and the provinces there is hardly any necessity for the use of the colonial language which cannot be understood by the public at large. “Even for many civil servants and public officials, who may have received education in English, this language would in most cases, not be the language most used by them… Many officials are therefore forced to spend time on attempting to initiate and take decisions in a language which they are not entirely comfortable with. “The time thus spent is quite wasteful because a lot of energy is dedicated to deciphering the language of the noting (which could have been easily drafted in the Urdu language) itself rather than understanding its content or substance. This wasteful exercise at times results in absurd and farcical outcomes which would be wholly avoided by use of the National language. In July this year, Pakistan confirmed dropping English as official language and switching to its mother tongue, Urdu. On September 6, education ministry and the Higher Education Commission (HEC) instructed all public and private sector universities to use Urdu as official language. They have also been directed to translate their respective Acts, statutes and websites into Urdu from English until September 15, under the orders, originally issued by the president.